America’s Indigenous Stimulant is Back! Did you know that Yerba Mate’ has a North American sibling? Yaupon (pronounced yo - pawn)––North America’s only native caffeine plant––was revered by the native peoples of the continent’s southern regions. Nearly forgotten, the “Black Drink” as it was called, has re-emerged amidst the movement toward sustainably-harvested local-food. Cosleeping and Biological Imperatives: Why Human Babies Do Not and Should Not Sleep Alone, by James J. McKenna. in Neuroanthropology, 2008. 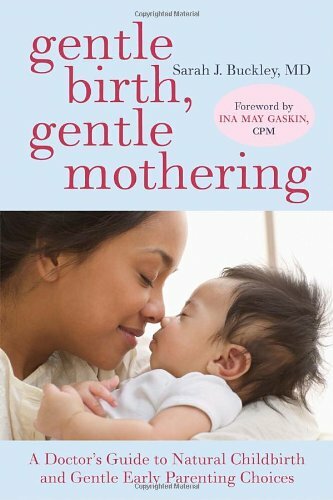 Dr. Sarah Buckley — author of the best selling book Gentle Birth, Gentle Mothering — is a New-Zealand-trained GP/family physician with qualifications in GP-obstetrics and family planning. She is the mother of four home-born children, and currently combines full-time motherhood with her work as a writer on pregnancy, birth, and parenting. She is also a PhD candidate at the University of Queensland.